Greta Gerwig and why Lady Bird is worth the HD wait - Available as a download or stream? The Lady Bird director espouses filmmaking as a team game and writing scripts inspired by personal memory. And while her movie might have leaked as a DVD screener, it is worth a BluRay purchase or buying a digital HD download. Here’s why. 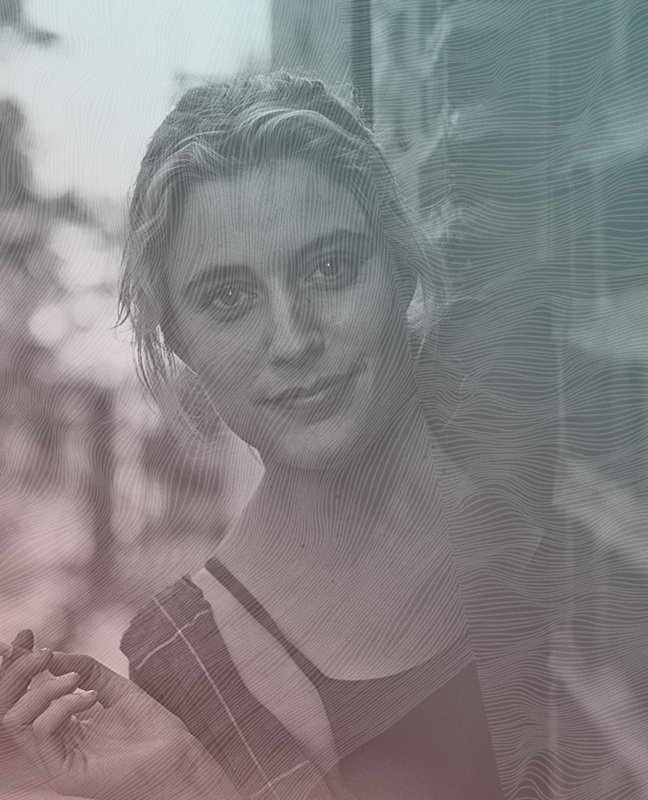 It maybe wasn’t until we saw her as the lead in modern rite-of-passage classic, Frances Ha, that we truly accepted Greta Gerwig as the indominable screen talent that she is. She rose though the ranks of the ‘mumblecore’ revolution in films such as Hannah Takes the Stairs and Nights and Weekends, has dipped her to into the clammy pools of mainstream Hollywood, and has also fallen in with hyper-literate New York comedy director Noah Baumbach. Now, she’s moved behind the camera for her delicious feature debut. Lady Bird, the story of a outspoken teen (Saoirse Ronan) awkwardly (and often amusingly) transitioning into adulthood. Lady Bird received its world premiere at the Telluride film festival. Has it been non-stop for you since then? Gerwig: It has been non-stop since Telluride. Every time I show it, I have nerves, but it’s been very meaningful to give it to an audience. The film really stops being yours at that point, because they start owning it. Then people start coming up to me and telling me their stories about dropping their son or daughter off at college, or telling me about fights they had with their mother. It feels like it literally starts belonging to other people. That sounds very bittersweet. It is, but that’s why you do it. You want to let people own it themselves and you don’t want to keep it as your own secret. I love Emily Dickinson, but I’m not Emily Dickinson. I’m far too social. I can’t imagine making a bunch of art and never really showing it to anyone. I like the process of how a film, at each step, is owned by more people. You find a producer, you bring that person on. You find your crew, you bring those people on. You find your cast, your editor, your composer. By the time you give it to the public, you’ve shared your dream world with all these different people. How do you translate that dream world to other people? It’s a lot of work. But I was very lucky, my cinematographer Sam Levy is someone I’ve worked with as an actor and he’s photographed things that I’ve co-written with Noah Baumbach. I knew that he had a way of shooting cinema that was driven bywords, yet he could make it cinematic. I’m a word-driven writer. I love dialogue and have a very precise script that I don’t change when we’re shooting. He is a person who can collaborate with me to make it something that feels like it exists in the world of film. So we spent a very long time creating shot lists and storyboards, but also just hanging out and talking about movies and photographs and paintings and looking at references. You find these kindred spirits, but then you lay all this groundwork which is both directly talking about the project, but also just spending a lot of time with each other. Did you reach a point where you thought, ‘Everyone gets it, we can go now?’ Yeah, pretty early on. We did a ton of tests, with cameras and lenses – because we were using old lenses – and did all this work with the postproduction colourist who was messing with the footage in New York and trying to establish what we wanted the film to look like. Sam looked at some of the lenses, and I went through a ton of them too, but then he said, ‘OK, here are my top five, and I’m not going to say anything. Tell me which one you like’. Top five lenses? Yeah. So I looked through the lenses and looked at the sample footage from each and picked number three. And he said that was the exact one he liked. When things like that happen you feel like everyone is on the same page. Then everyone looks at the screen test together to see it, and when every department says, ‘Yes that’s the right kind of lighting,’ or, ‘that’s the right location’, you feel like everyone is together. Also, when my costumer brought me a particular sweater that she used for Lady Bird, the sweater was almost a Proustian memory for me. I said, ‘I’d completely forgotten about this sweater, but it’s completely right’. How much of Lady Bird is, for you, a Proustian memory? Well, none of it literally happened. It’s not a documentary, it’s completely fictionalised. But at the same time, there’s a core of emotional truth at the centre which resonates very deeply with what I know to be true. I’m interested in memory. I’m interested in the cinema of memory. I think about Fellini’s Amarcord a lot, and the way you get this sense when you watch it of, ‘No, that’s not what happened, but that is what that moment felt like’. The way he saw everything is heightened, but it also feels somehow correct. I think I’m interested in personal cinema. Not autobiographical cinema but personal cinema. Is it difficult to build truth into fiction that isn’t autobiographical? It’s interesting. I’m always interested in the way fiction – and, in a way lies – can serve a greater truth in art. I guess one way to see it is fiction, and another way to see it is lies. But, to go back to Fellini, he says, “All art is autobiographical. The pearl is the oyster’s autobiography.” I thought that was a great way to explain it. In a way, and maybe it’s because I make films, I don’t have too much of a fascination with whether or not something is quote-unquote ‘true’. When I watch movies I don’t think of it that way, I don’t want to go to Wikipedia and see what matches up. Make sure to follow Lady Bird and when it hits BluRay, download and streaming options. Interview conducted by LWL for Where You Watch.